It is finally Friday! This work week just zoomed by in an instant. Guess that happens when you are busy. Because I did not prepare a proper post for today I will leave with some photos of my latest estate sale find, a metal cabinet with a glass door. Once I have scrubbed it, it will look great in the kitchen. Whoa, week fifteen passed by as quickly as the weeks before. Can't it just slow down a little because like this I always feel as if I am two steps behind everything. On Monday evening the klutz in me came out and I burned myself pretty badly on my wrist while boiling water for a cup of tea. I never had a 2nd degree burn before and got worried when a huge blister formed on my arm but when I had my doctor check it out it wasn't as bad as I though and now I can already see that it started to heal. The weekend was a lazy one again, on Saturday P and I walked over to an estate sale around the corner from where we live. Of course I didn't leave empty handed and ended up buying a metal cabinet. The house where the sale was at was amazing, at least at one point in time it was pretty grand. 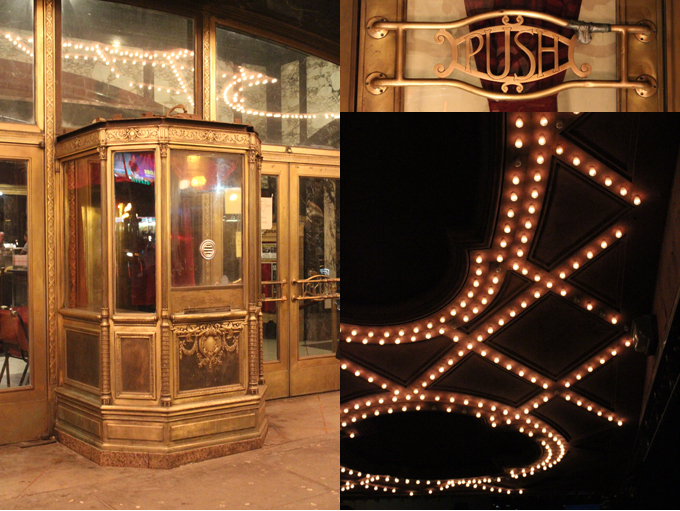 It had amazing details like woodwork and tin ceilings. From what I understand it will be for sale soon. Too bad I can't fix it up...Sunday we had brunch with a group of friends and because the weather was so nice we ended up on a roof bar after to catch some rays. I could do that more often...What was your week/weekend like? Lazy like mine or did you get all worked up on a diy project or something like that? This post is long overdue, P and I watched O Brother, Where Art Thou? back in March, as you see in the first photo. 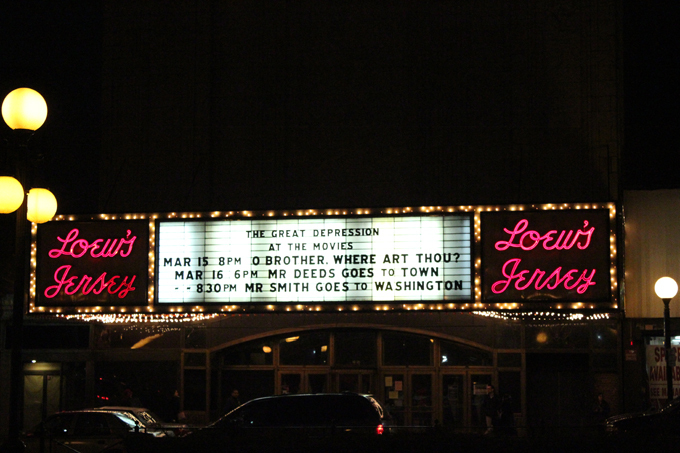 That weekend they had a Great Depression theme and all movies shown fell in that category. I left the theater with a song from the movie stuck in my ear. 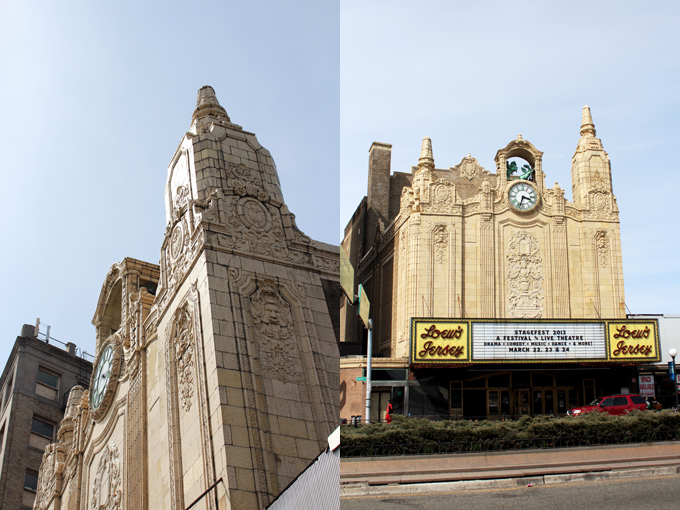 But enough about the movie this is a post about the theater we watched it in and because I took so many photos of the interior I decided to split it in two posts, one just for the exterior of this old movie theater and one post for the interior. With temperatures in the 70ies and 80ies during the last days I have spring on my mind. In my lunch break I enjoyed sitting in the sun wearing my sunglasses and no jacket. This kind of weather draws me outside and makes me want to be more active. With springtime finally here I am also starting to get obsessed with bringing spring into the house as well and what better way than to do it with flowers. One of my favorites are tulips. 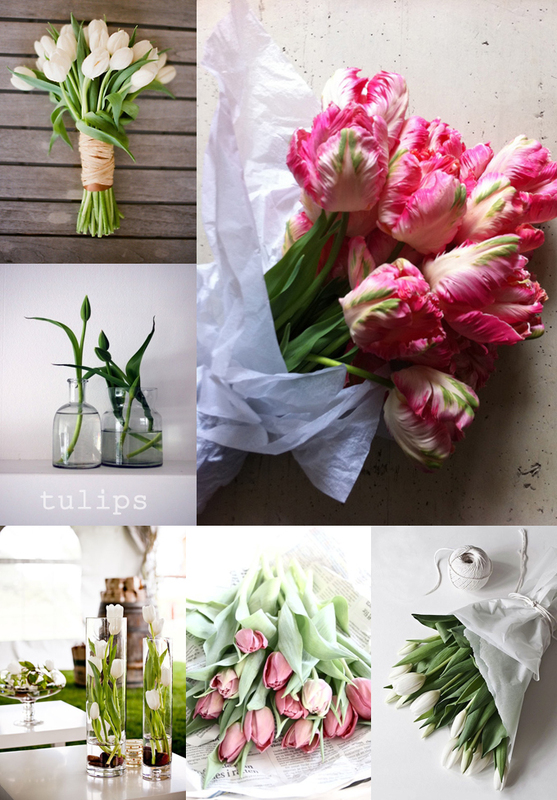 Recently I browsed Pinterest and found hundreds of images with tulips. 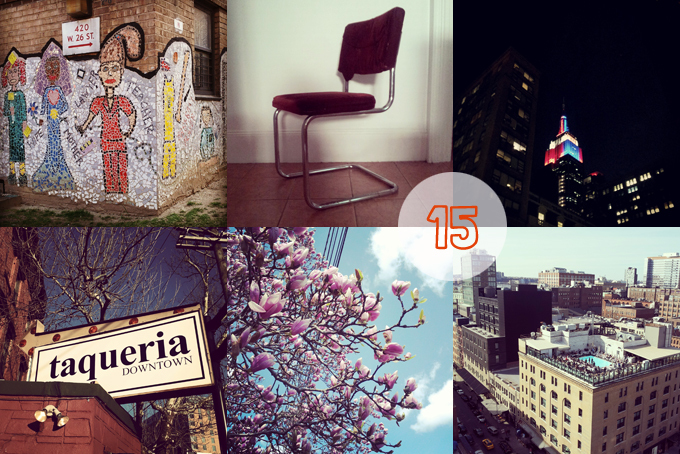 Today I am sharing some of my favorites with you. Do you have a favorite flower that evokes the feeling of spring in you? 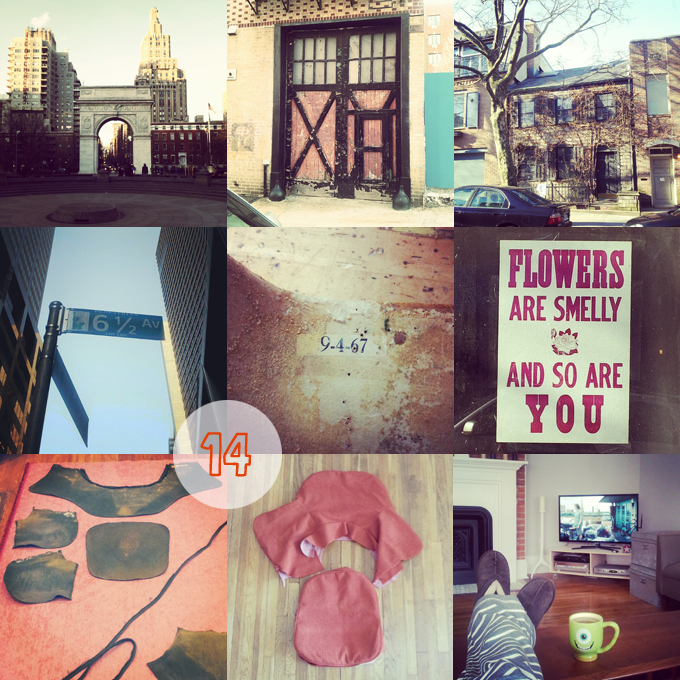 Hello week fourteen! 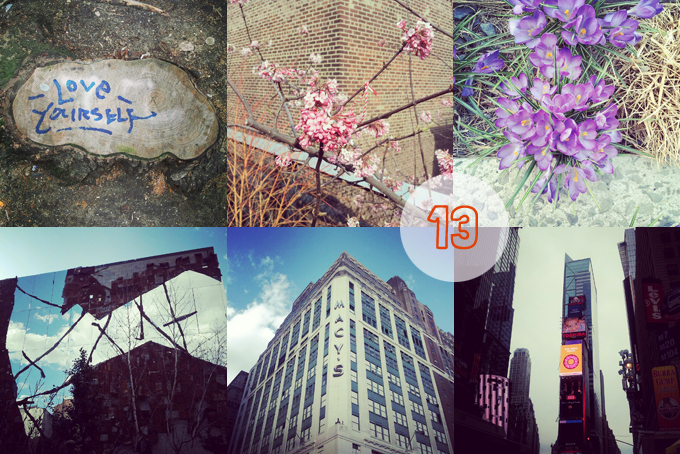 Goodbye week thirteen! Can you believe we already have April now? Where did the past months go? I hope your last week was a great one and you enjoyed your Easter weekend. We certainly did! On Saturday friends flew in from Germany and because the weather was so amazing we headed straight to the city after they freshened up after their flight. We took a walk along the highline, with thousands of other people who had the same idea. 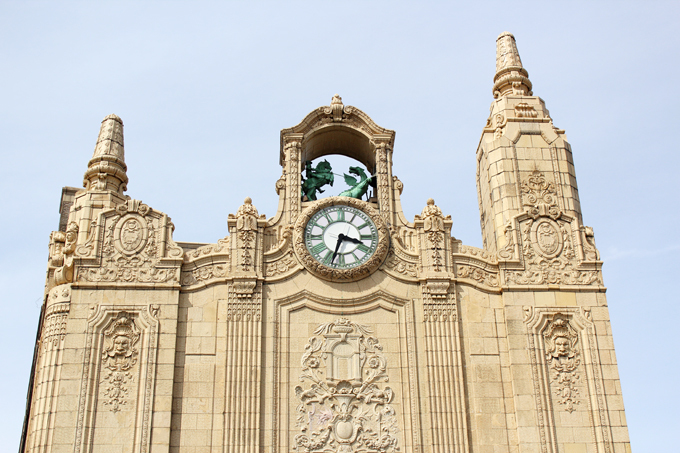 Throughout the city you could see crocuses, daffodils and other flowers and trees starting to bloom. I cannot wait for the cherry tree in front of our house to be in full bloom and the beginning of Spring means that we are close to starting our backyard transformation as well. Already dreaming about hanging out on our future deck and having friends over for a bbq. On Sunday we played tour guide again and after a hearty brunch headed back to the city. Unfortunately the weather wasn't as nice as Saturday and we didn't spent much time walking around. Today our friends will be flying to San Fransisco and go on a big road trip. I wish I could sneak into their luggage and go on this trip with them. How did you spent the week/weekend? And did you see any signs of Spring in your area? I talked to my family back in Germany and heard that Easter weekend looked more like a white Christmas. Have a great week fourteen everybody!